This product is not available for your 0 . Please answer the following questions before adding to cart to help us provide you with customized for your specific vehicle. Wheel vehicle fitment are suggestions and may vary due to prior vehicle modifications or other conditions. Confirm fitment with a qualified installation professional before driving with your new wheels. 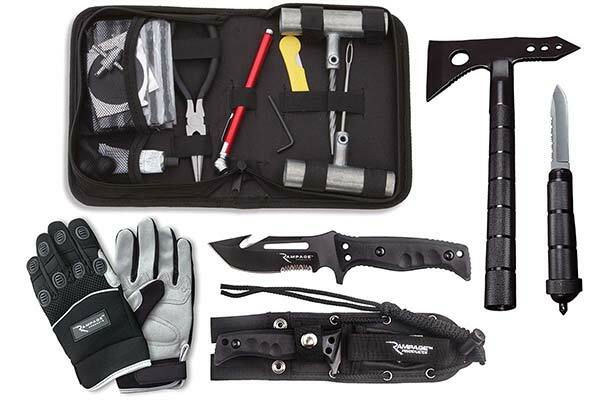 Never leave home for the great outdoors without Rampage Trail Recovery Gear. 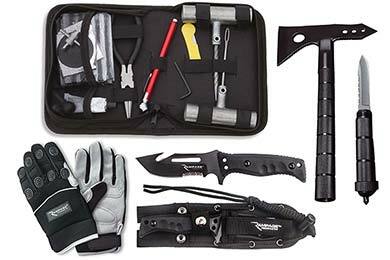 The only way to make your campsite feel like a home away from home, and every potential emergency situation like a walk in the park, these accessories would make the most seasoned survivalist proud. 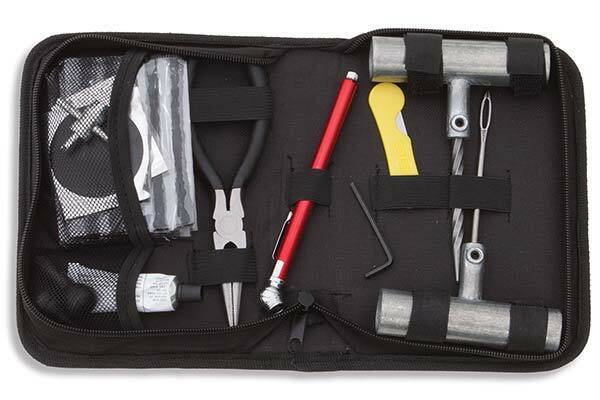 Need to chop some wood for the fire or loosen-up your D-ring pins? 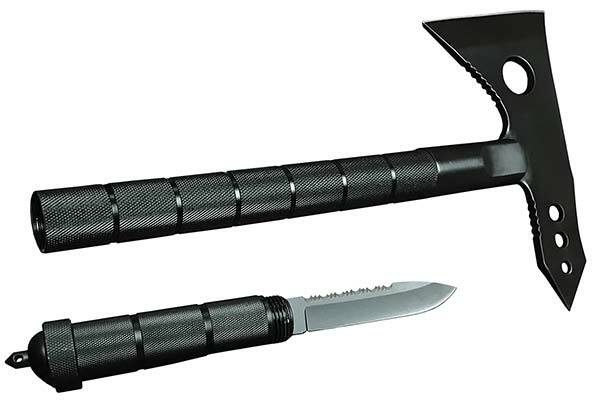 No problem – the trail axe and knife combo should come in handy. 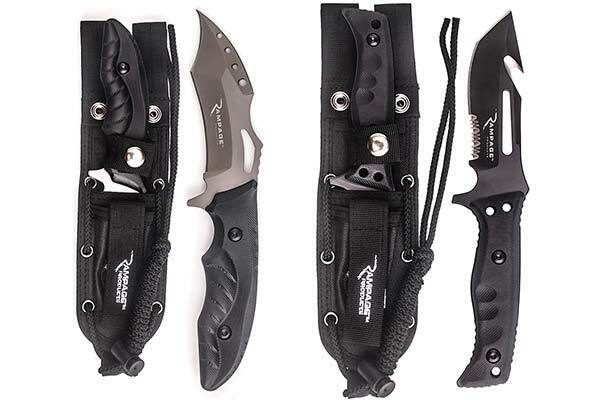 A larger, thicker knife is also a part of this assembly, and with its hook design and serrated edge, is great for cutting thick rope and wire. 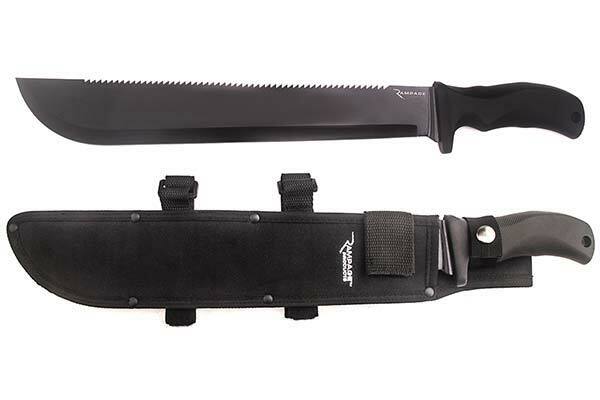 A machete, with the sheath included, helps in the clearing of wood and brush. Want to dig a hole? 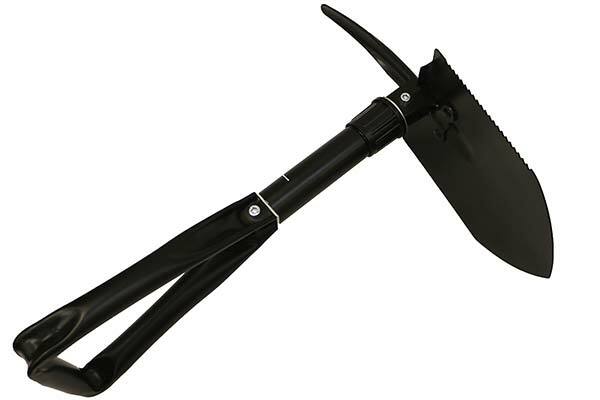 The multi-shovel has you covered. 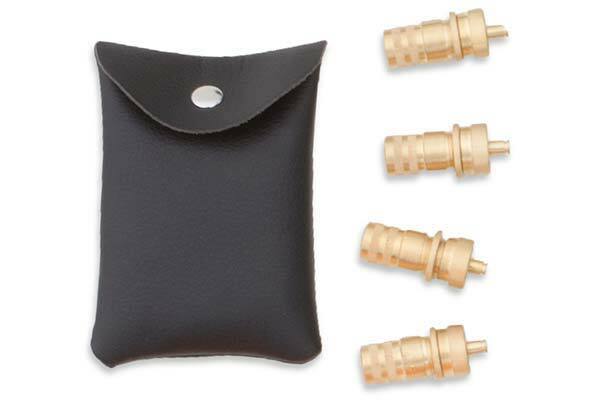 You also get four tire deflators in a pouch with a snap-on flap and a tire repair kit in its own case, with everything from an air pressure gauge to pliers. 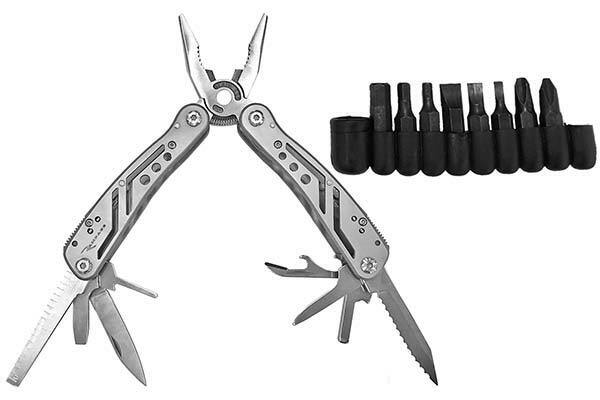 The multi-tool knife is a great all-in-one, with everything from a file to serrated-edge blades and a can opener – just in time for a relaxing night around the fire. 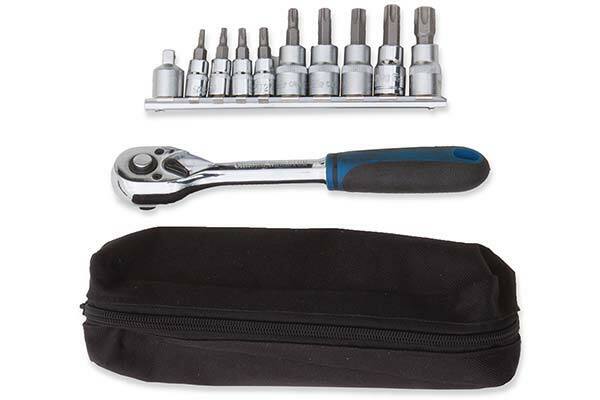 You also get thick-palmed gloves for those times you really need to use your hands, and last but not least, there’s a socket, wrench and nut & bolt set for fiddly work. 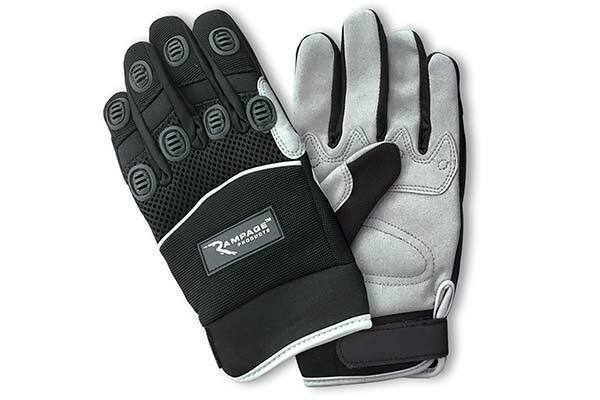 Your Rampage Trail Recovery Gear is backed by a 1-year warranty. Reference # 753-509-988 © 2000-2019 AutoAnything, Inc.